Bernadine Shain, 72, of Paragould, AR formerly of Norris City, IL passed away at 5:20 p.m. Friday, January 25, 2019 at Arkansas Methodist Medical Center in Paragould. She was born in Eldorado, IL on October 9, 1946 the daughter of Evert Wayne and Bernice Nadine (Cowan) Bowers. Bernadine married Earl B. Shain on November 11, 1967 and he preceded her in death on December 3, 2015. She was a member of Mt. Oval Cumberland Presbyterian Church. Bernadine was a homemaker and had worked at Coleman Tri-County Services in Shawneetown. She loved to sing and play the piano and enjoyed spending time with her family, especially her grandchildren. 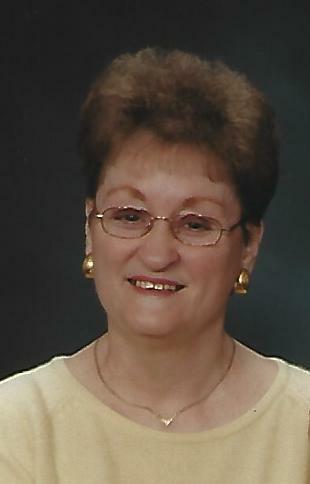 Bernadine is survived by her son, Michael Shain of Paragould; six grandchildren, Emily (Colton) Amos of Rogers. AR and Evan, Anna, Abby, Gabe and Lauren Shain of Paragould; a brother-in-law, Gerald (Marilyn) Shain of Omaha; and a sister-in-law, Patricia Bowers of Thompsonville. She was preceded in death by her parents, her husband and her brother, Wayne Bowers, Jr.
Funeral Services for Bernadine Shain will be held at 11:00 a.m., Tuesday, January 29, 2019 at Campbell Funeral Home in Norris City. Burial will be in Mt. Oval Cemetery in Norris City. Visitation will be held on Monday, January 28, 2019 from 5:00 p.m. until 8:00 p.m. at Campbell Funeral Home in Norris City.